We design, install and service both oil and gas-fired systems. New England winters can bring extreme temperatures and we are here 24/7, day or night, to repair your heating system for you and your family. We are extremely knowledgeable about older systems, commonly found in Boston-area homes, as well as the latest, energy efficient systems and home technology. 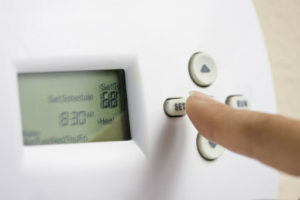 Whether it's wifi thermostats or heated floors and driveways - call us for all of your heating needs. We deliver design, installation and service of Air Conditioning Systems. With over 70 years of experience, we are certified in many of the leading systems to keep you cool all summer. We also understand indoor air quality issues. Our skilled technicians create effective duct work solutions and offer the latest technologies to custom fit each unique New England home. Call us to schedule a home visit. We provide oil deliveries to customers throughout the year 24/7. Our passion is to change the way our customers buy oil. We offer a unique Price Cap Program to protect you, our neighbors, from the rising costs of oil each season. We make oil deliveries automatically and make payments easy. You can choose to pay throughout the year or take advantage of our early pay discounts. Our trucks will deliver day or night in all weather. We have a deep knowledge of heating and cooling systems, delivering the next generation in home technology, while offering expert repair services to maintain older systems - critical to homeowners here in New England. Contractors and architects also rely on us to design streamlined ductwork in new construction homes and additions. 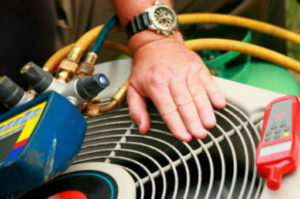 Our specialty is working with multiple systems and resolving heating, cooling and air quality issues. Our team is dedicated to our customers, who depend on us 24 hours a day, 7 days a week for service and automatic fuel delivery. We are proud of our team of licensed, certified professionals who provide professional, courteous service in your home day and night. In the colder months, we appreciate that you depend on us to deliver oil automatically and we are always available 24/7, especially during the cold winter months. 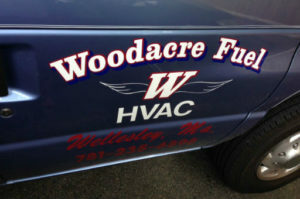 Whether you are new to the area or have been here for generations like us, call us to find out about our cost savings programs to help manage home energy costs - Woodacre's Price Cap Oil Program, Maintenance Plans for A/C Units and Service Contracts for oil heat systems. Our goal is to be sure your systems work efficiently and cost effectively all year long. Considering a replacement or new installation? We offer complimentary estimates and home visits to discuss what systems will best meet all of your needs. Massachusetts rebates offer additional savings, and we can also help you navigate the process. Click here to request a visit. For emergency replacements, call us at 781-235-6898.